Nigerian-Ghanaian based Afrobeat singer Oluwatosin Oluwole Ajibade, known professionally as Mr Eazi, has blessed music lovers this year with raving songs. 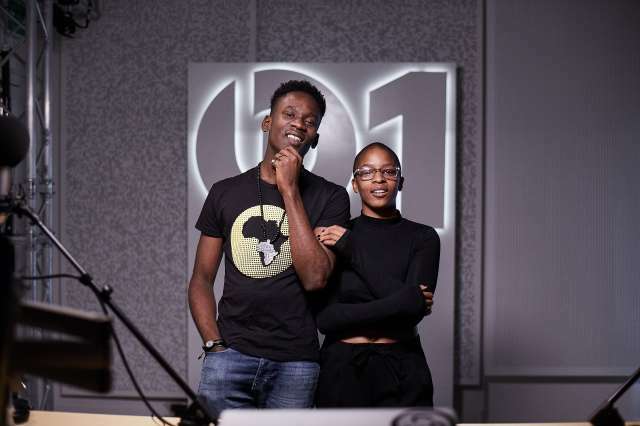 The Skin Tight singer recently met with Julie Adenuga on Apple Beats 1 radio as he talks big regarding his music career, his collaboration with Eugy and also intended international collabos the likes of Giggs and Rudimental. “ Eugy had been trying to reach out to me for a long time and then he came via Juls, Juls has produced a lot of my work. Once the recommendation came from Juls of course, I just had to work on the record… I came to London for the first time in March and we recorded ‘Dance For Me’. We just put it out and it’s been crazy. “I was born in ’91, Friday ’91, July 19 in Port Harcourt, Nigeria – a rainy Friday night my mum tells me. In a military hospital. I stayed in Nigeria – I moved from Port Harcourt to Lagos until like end of high school and then my mum ‘shipped’ me over to Ghana. “I feel like in life… I just follow the vibe, I just move like a nomad and I feel like everything will make sense at the end of the day,” he says. “I’ve been working with Rudimental, Anne-Marie, a great guy called Riton as well. Today I will be meeting Giggs. “Eazi reveals he will be dropping a remix of ‘Skin tight’ with Wizkid before he has his mixtape out.